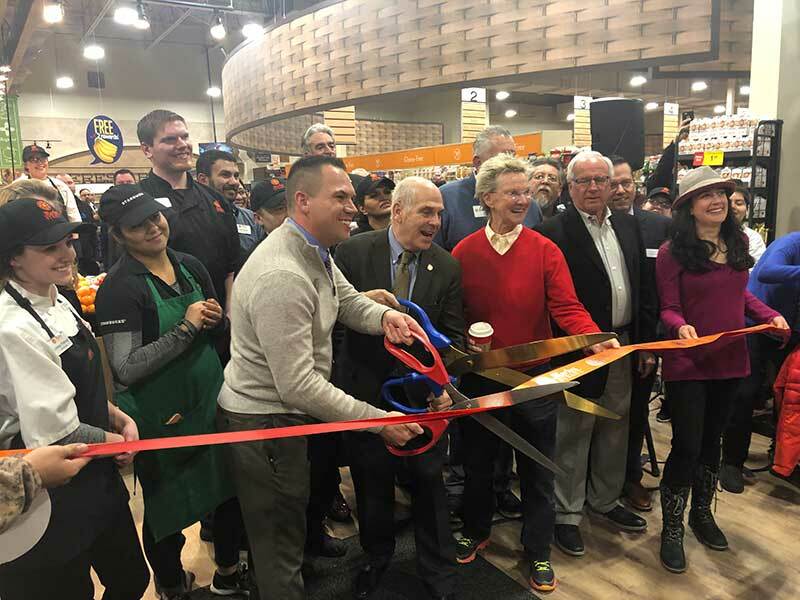 A bakery in a grocery store drives store sales and encourages emotional connections with consumers, according to the results of the Power of Bakery Report, a report jointly released by the American Bakers Association (ABA) and Food Marketing Institute (FMI). The results of the analysis, unveiled at the ABA Convention in Naples, Florida, share consumer perceptions, attitudes and behaviors regarding the bakery category in a grocery retail setting. The findings are designed to help the baking industry partner with retailers to optimize production, marketing, merchandising and branding decisions. According to the report, total bread and baked goods sales surpassed $59 billion in 2018, split between the fresh bakery department and items located in the grocery, frozen and dairy departments. In-store bakery sales were $13.8 billion and are dominated by desserts, sweet goods and cookies, whereas center-store sales are more evenly balanced between functional and indulgent items. Bakery is one of the biggest drivers for in-store trips, bringing shoppers to the store nearly once a week, yet opportunities exist for retailers to increase consumption frequency and household penetration across individual categories. 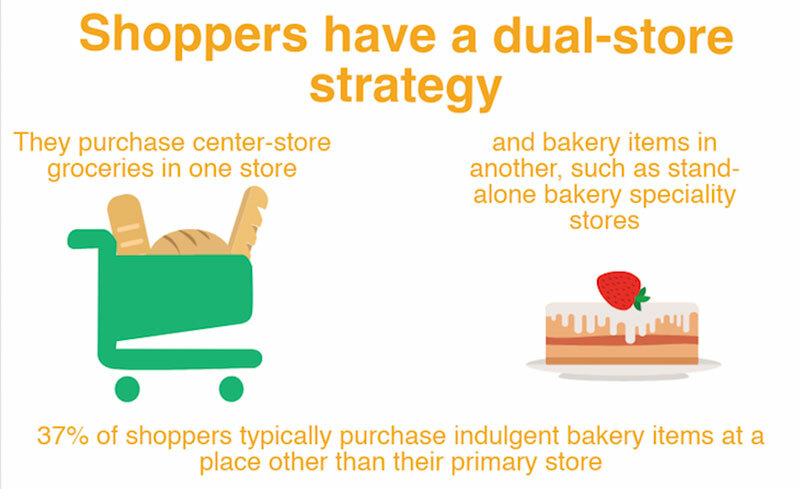 As witnessed in many of the grocery perimeter departments, significant numbers of shoppers have a dual-store strategy, in which they purchase center-store groceries in one store and bakery items in another. Channel switching is highest for special occasion items, such as birthday cakes/cupcakes, and lowest for functional items. Stand-alone bakery specialty stores take a majority share of the switchers across all three categories. Thirty-seven percent of shoppers typically purchase indulgent bakery items at a place other than their primary store. Being a top-of-mind bakery destination is important to capture the category’s many trips among primary and secondary shoppers. The survey also shared that top-of-mind “bakery” word associations are dominated by positive terms that convey emotion, such as “yummy” or even “love.” While it remains important to meet consumers’ desires for functional attributes, the data shows there is power in satisfying a customer’s emotion to drive sales. Shoppers’ view on the importance of having someone to help with questions or purchases highly depends on the type of item purchased. More than three-quarters of shoppers want the ability to personalize, but this does not necessarily mean items need to be made from scratch to shoppers’ personal preferences. In fact, the greatest share, at 42 percent, prefer prepackaged items but with the ability to personalize. 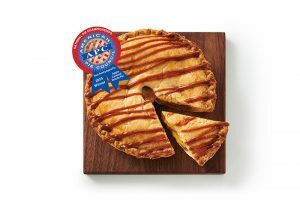 While most shoppers believe scratch baking delivers superior quality, 57 percent are indifferent to their store using partially-prepared/baked ingredients. “Fresh” is the universal winner of production-related claims that matter to consumers, mentioned by seven-in-10 shoppers overall and nearly eight-in-10 Boomers. “Fresh” and “baked today” are easily the two most popular production-related claims out of the list of 12 options. When asked to define freshness, particularly as it relates to functional bakery items, shoppers first point to the date and time. The Power of Bakery 2019 was conducted by 210 Analytics and ToddHale LLC. It was produced with generous support by Corbion. ABA is the Washington D.C.-based voice of the wholesale baking industry. Since 1897, ABA has represented the interests of bakers before the U.S. Congress, federal agencies, and international regulatory authorities. ABA advocates on behalf of more than 1,000 baking facilities and baking company suppliers. FMI advocates on behalf of the food retail industry, which employs nearly 5 million workers and represents a combined annual sales volume of nearly $800 billion.